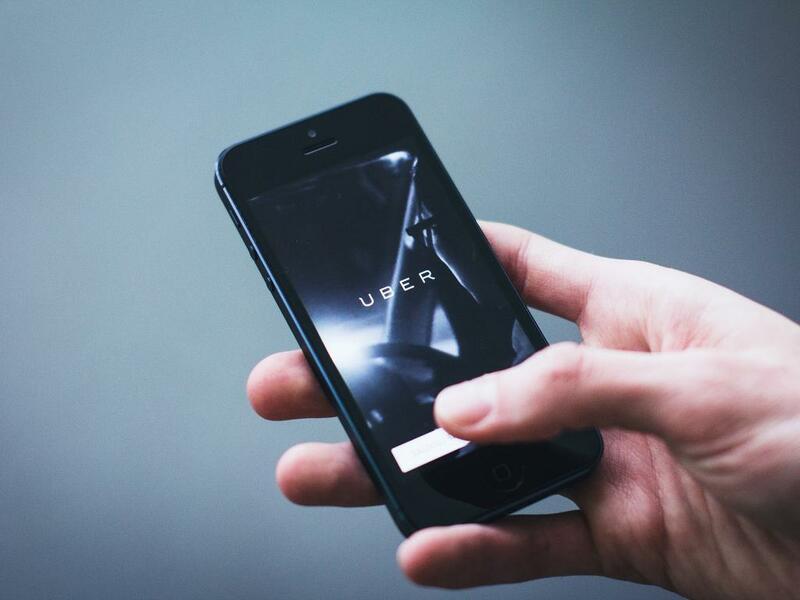 Lyft's smash and grab from the public markets IPO has been a disaster for nearly any open market participants that have wound up buying the stock since it has traded. But the IPO did come close to setting one recent record, according to Bloomberg: how quickly the company was hit with investor lawsuits after plunging. With Snapchat's IPO, investor lawsuits followed in just 10 weeks. For Blue Apron's IPO, it took only 7 weeks. Lyft has now lowered that bar, seeing its agitated shareholders file suit against the company in just 3 weeks after its IPO. While these kinds of lawsuits can be commonplce for newly listed companies (even moreso after 2008), most are dismissed or settled out of court for pennies on the dollar. Trials almost never happen. 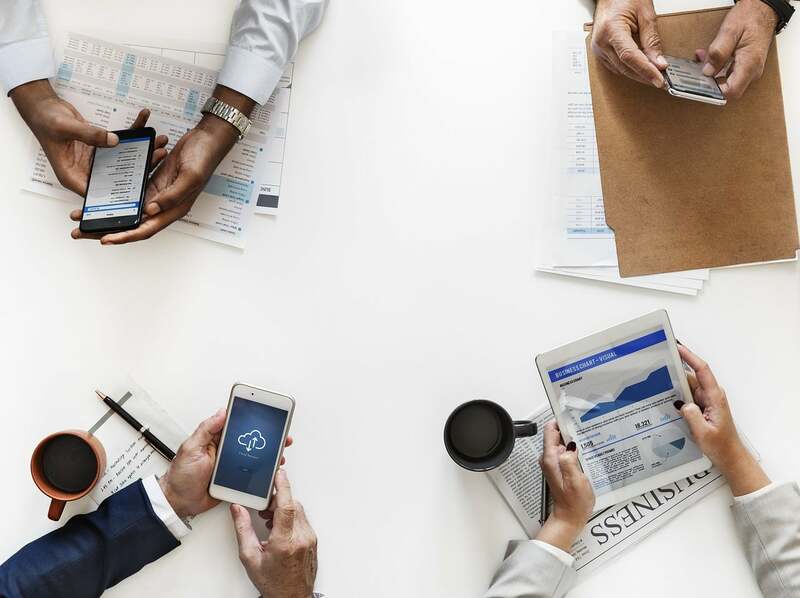 The standard cause of action arises from the allegation that the company's officers and underwriters overhyped the company's prospects, leading to losses when the market figures out the "truth". 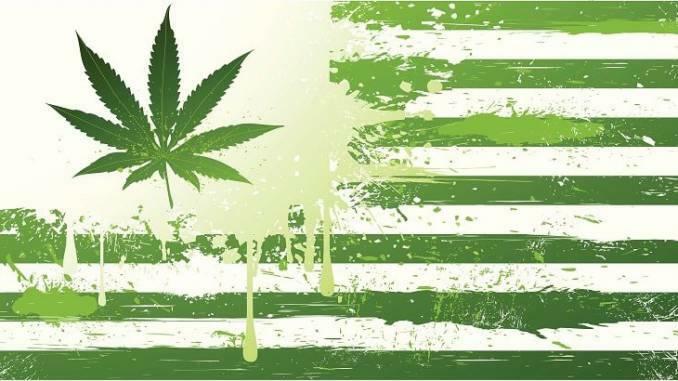 It's an objective that's obvious and clear to many non-mainstream analysts in the industry, but one that's never talked about in the financial mainstream media. This leads us to ask: if overhyping is the claim, why hasn't CNBC been party to any of these lawsuits? 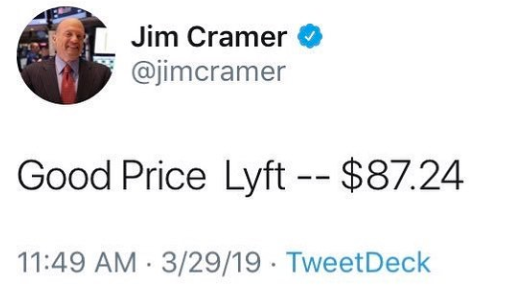 "You want to get as much Lyft as you can," Jim Cramer said leading up to the IPO on March 28. "So get in there, try to get as much Lyft as possible, because the way deals work is that the brokers all know they have a ton of merchandise to move. So, what they do is they would whet your appetite with some really tasty morsels and Lyft will be a tasty morsel," he continued. "Lots of people were quite cynical about the whole process, instantly jumping to the conclusion that the stock was ridiculously overvalued and the brokers ripped off the customers. That's just not true." "Of those, six had levels of 3 ppb or higher," according to CR officials. "These brands are Starkey owned by Whole Foods, Peñafiel owned by Keurig Dr. Pepper, Crystal Geyser Alpine Spring Water, Volvic owned by Danone, and two regional brands, Crystal Creamery, and EartH?O." 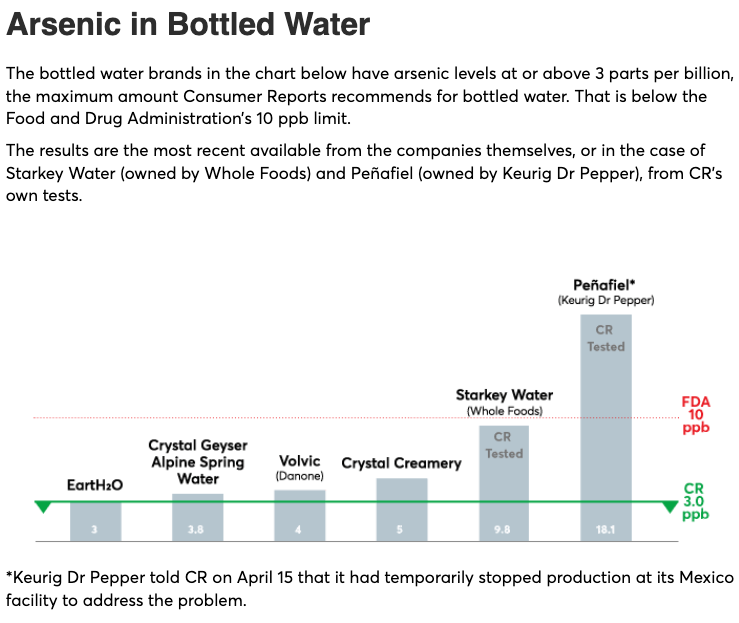 "It makes no sense that consumers can purchase bottled water that is less safe than tap water," says James Dickerson, Ph.D., chief scientific officer at CR. "If anything, bottled water—a product for which people pay a premium, often because they assume it’s safer—should be regulated at least as strictly as tap water." In the last five years, consumers have spoken out against municipal tap water and resorted to bottled beverages. Consumers as a whole aren't educated enough to understand the bottled water industry isn't heavily regulated – so the claims of fresh, natural water are somewhat misleading. 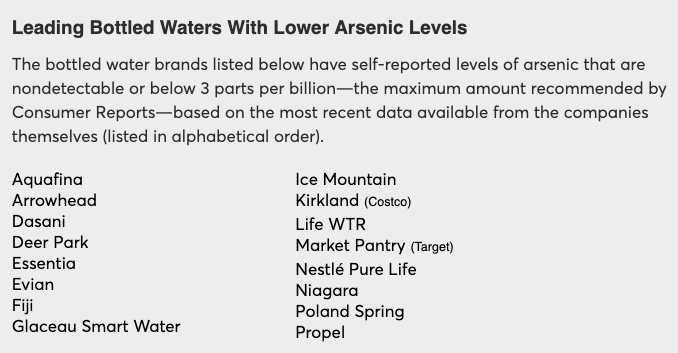 CR ended the report by linking EPA’s website for water testing – it says that if you want to limit your exposure to arsenic water, get your water tested immediately. Roughly a year after famously doxxing and threatening to sue short seller "Montana Skeptic", Tesla has been granted a temporary restraining order against Randeep Hothi, who allegedly goes by the Twitter handle @skabooshka. 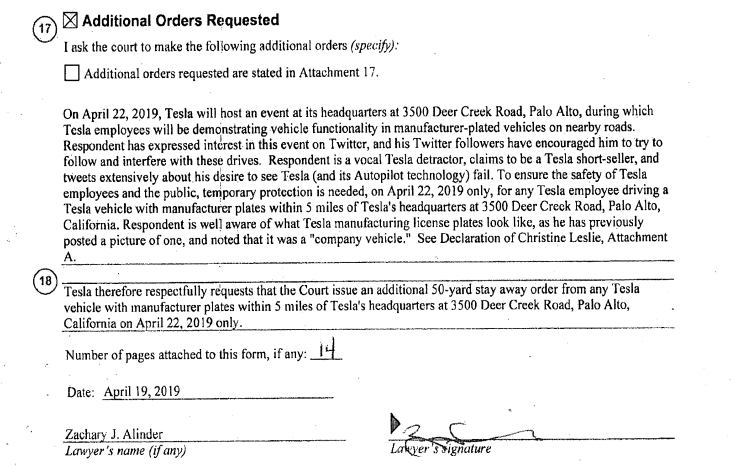 The restraining order requires Hothi to stay at least 100 yards away from Tesla's factory and employees. Hothi’s behavior would cause “great or irreparable harm” with court intervention, Tesla argued, just 2 days before its event. In a court filing from Friday, Tesla alleges that Hothi "had a history of trespassing at its facilities, taking photos and video to post to his Twitter account, before he recently started menacing its employees." 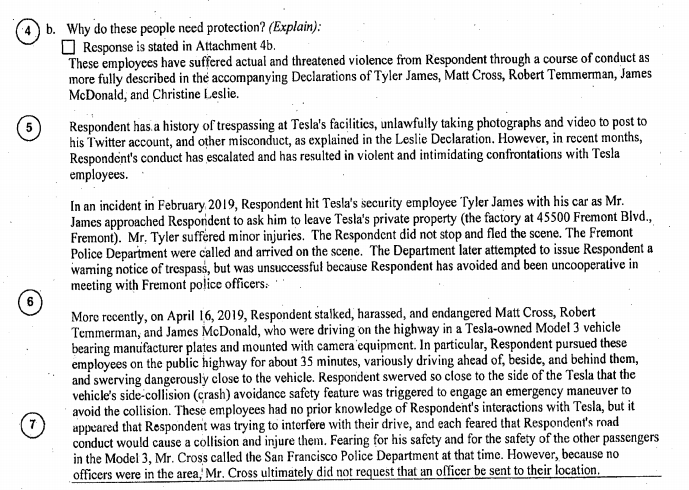 The order claims that in February, Hothi struck a security guard with his vehicle when he was approached in Tesla's Fremont parking lot. The incident was so devastating that it caused a "minor knee injury", according to Tesla. 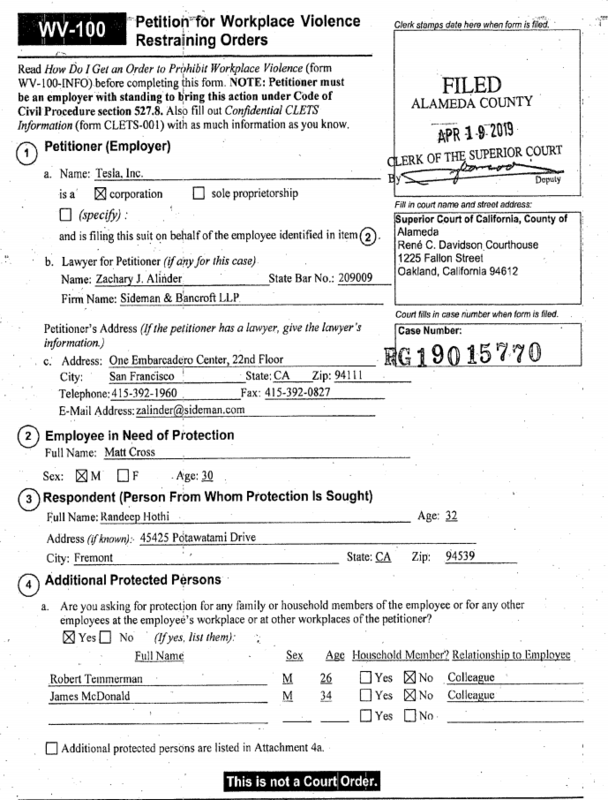 The company also says it contacted Fremont police, but that officers were unable to deliver a no-trespassing order to Hothi (we wonder why). Hothi lives about 3 miles from Tesla's Fremont factory. Then, in April, the order alleges that Hothi followed a Tesla autonomous Model 3 that was driving on the freeway, equipped with cameras. Tesla claims that Hothi swerved so close to the Model 3 that the vehicle’s side-collision safety feature engaged in an emergency maneuver to avoid a collision. And we're sure Tesla has printouts, on Tesla letterhead, with reports from Tesla software, to prove it. Elon Musk even posted what looked to us to be faux-outrage and/or faux-confusion on Twitter, stating that he just couldn't fathom why people want him to fail. "True, we might not succeed," Musk said about Tesla before hiding behind the excuse shield of "we're just trying to make a better future for all". His tweet was quickly met with a response by the Twitter handle alleged to belong to Hothi. Two countries tied for most-worsened over the past 12 months. 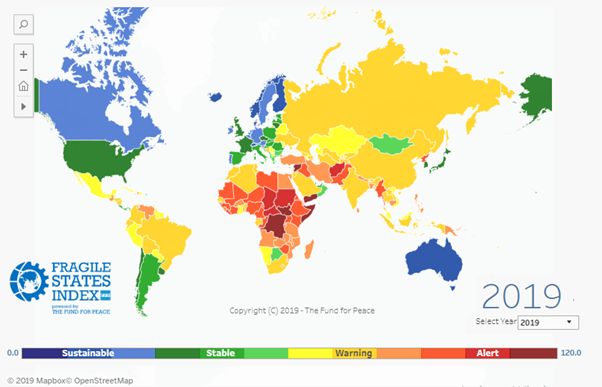 As per World Economic Forum, “Any UK citizens alarmed at seeing their nation ranked as the fourth most-worsened will find that three of the 12 indicators used to compile the index were largely behind the low score: the behaviour of ruling elites, social divisions and state legitimacy. For those curious what happens to new normal "disruptors" when they run out of money and can no longer operate at a loss to capture market share (a favorite strategy for Silicon Valley and most "hot" names such as Tesla, Netflix, Uber, and in many ways, Amazon) look no further than MoviePass. The company, which rose to prominence after allowing its members to watch a virtually unlimited number of movies for a very low monthly price, only to see its business model implode after it failed to "scale" and leverage its user base and quickly ran out of cash, has seen a deluge of users hitting the exits after it was forced to scale back the number of movies users could see each month. The embattled cinema-subscription provider has seen its subscriber number collapse by 90% from a peak of more than 3 million to just 225,000 in under a year, according to a report by Business Insider, which cited "internal data" even though the company declined to officially confirm the humiliating figures. Last summer, when things were still running relatively smoothly, MoviePass claimed in June 2018 that it had signed up more than 3 million subs for its $9.95 monthly plan, which let customers see one movie every single day. However, that model quickly proved unsustainable as we previously reported, and MoviePass was forced to change that to a three-movies-per-month plan. So, last August MoviePass began to convert subscribers on annual subscription plans to the three-movies-per-month subscription plan, by giving annual subscribers the option to either cancel or refund their annual subscription or continue on the new three-movies-per-month subscription plan. As it turns out, most canceled: over 90% of MoviePass’ prior subscribers were no longer interested in paying the same price for a service that offered dramatically scaled-backed terms. Then, in an attempt to spark renewed membership interest, in March MoviePass introduced a refashioned “unlimited” plan, dubbed Uncapped, priced at $14.95 per month (or $119.4 per year), to again allow customers to see one movie daily, which however came with big caveats, described by MoviePass like this: "Your movie choices may be restricted due to excessive individual usage which negatively impacts system-wide capacity." And – more important for headline writers and money managers – it reported exactly the right amount of GDP growth. 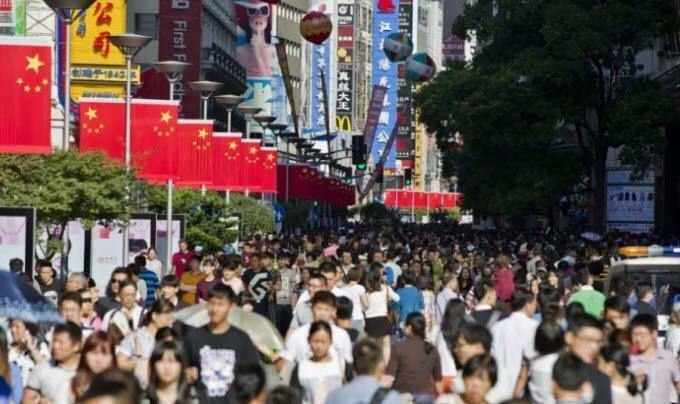 This brings to mind a long-ago interview in which economist Nouriel Roubini asserted that China just makes its numbers up, frequently reporting GDP immediately after the end of the period being measured, something that even the US can’t do. If that’s the route America wants to go, seems like they should start with Native Americans. After all, they were the first ones to be exterminated and have their land stolen. And, comparatively speaking, they’re at the bottom of the socioeconomic ladder. While the rest of the US enjoys historically low unemployment, the unemployment rate on Indian Reservations often exceed 10%. Native Americans also have the highest poverty rates of any ethnic group in the Land of the Free. Should the US government make reparation payments for killing countless Filipino civilians in the early 1900s during the armed occupation of the Philippines? Or to descendants of Japanese-Americans who died in internment camps during World War II? And, how far back should politicians go ? Should the government of Mongolia make reparation payments to Ukrainians for murdering tens of thousands of people during the siege of Kiev in 1240? 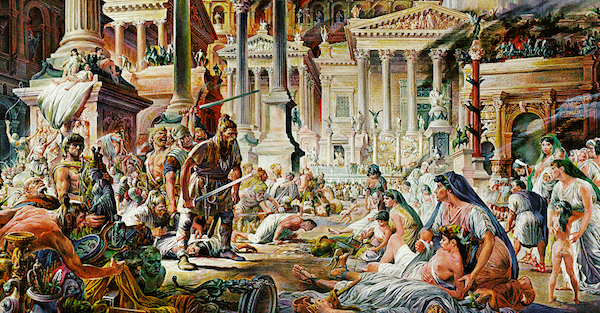 Should descendants of the Visigoths have to give money to Italians for the sack of Rome in 410? We doubt this bill will ever see the light of day. But it’s yet another striking indicator of what the Bolsheviks are thinking. The Transportation Security Administration (TSA) is already pretty legendary for touching passengers in intimate ways… and it often crosses the line. "…the systems are failing…are you lost in the world like me?"